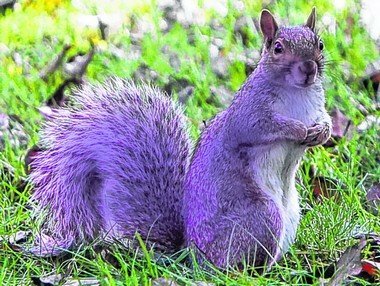 If you have ever run a sourcing team or been asked to build one you know that sourcing for your own team can be the most daunting of all of the purple squirrel hunts you have been on. So as a sourcer, how do you source for your own team? The first time I had to hire a sourcer for my own team, it turned out that I had not given much thought to what had should have been obvious to me after working as a sourcer. What makes a good sourcer and how can you find out if someone you are interviewing is a good sourcer? If you are looking for a sourcing job the very first bit of advice I will give you is to know your metrics and display them. My personal profile has numbers from my agency days, for example how much gross profit I made in a year. It has information on the number of software engineers I placed when I was a tech recruiter. My performance is measurable; yours should be too. Once I have an understanding of performance I look for some of the technical skills associated with our profession. While I feel it is important to understand Boolean, but I don’t ask for a search string as an example. I instead may ask about the different operators, what they are used for and for use cases for different operators. My thinking behind this is in the day to day world we actually write very few of our own Boolean strings and put them into Google and go a resume hunting. We use Boolean primarily to search in existing databases and to give us better results than the average keyword bingo playing recruiter might. I look at Boolean as a way to cut a database that will give me better results than the average recruiter and as a way that will help me uncover the candidates that the average recruiter will miss. I do think Boolean can be a useful way to search LinkedIn but I feel most of the time we are searching as sourcers we are sourcing an ATS, LinkedIn or some aggregator that will take our basic Boolean operators and build a more sophisticated search, but for the sake of an interview I want to know they understand how Boolean works. Another question I ask sourcers during an interview is, “How do you keep yourself organized?” One of the first things I learned to do that made me effective was to keep not only a schedule but a daily plan. I started planning my calls, I block time to source, and I have notes on who I need to talk to and what projects I need to complete. Being organized is critical so that things don’t slip through the cracks. I don’t care how a sourcer stays organized; I only care that they have a system. If a sourcer doesn’t have a good answer to my question on how they stay organized, the interview is over in my mind. I want to hear if the sourcer qualifies their req, asks for the sell of the job, do they search an ATS, do they solicit referrals? If I hear they just start by running off building a Boolean string and start sourcing, I usually end the interview in my mind. A smart sourcer ask questions about a search, I’m looking for someone who works both smart and hard. A sourcer that goes directly into the search is aggressive, and that is good, but their first slate of candidates ends up being the wrong slate more often than not. I want to highlight that one of the things I always listen for is if the sourcer is getting the sell of the job. If a sourcer isn’t asking about the sale of the role, most likely their outreach is as boring, bland and ineffective as every other, “Dear candidate, I am a sourcer, I found your awesome resume here is my amazing job that offers you a once in a lifetime chance to do the same thing you are doing in your current role for as small as a pay raise as I can get away with giving you. If you are interested, please read my lame job description below and take 30 minutes to apply for the job so that no one knows I spoke to you about it and I don’t get credit for finding you.” I desperately want to avoid hiring that sourcer. Sourcers are generally paired with recruiting partners. The next question I ask involves a recruiter/sourcer partnership. One thing that can be heartbreaking for a sourcer is finding what you believe is a perfect candidate, only to have your recruiting partner shoot down the candidate within moments of receiving a resume. The question I ask is, “what do you do when you’ve worked to find a great candidate that gets rejected moments after you submit them.” I’m I want to hear about how they will treat their recruiting partner. The last thing I want to do is get called into a meeting because my sourcer isn’t getting along with their recruiting partner. My last two questions are to test their critical thinking and problem-solving skills. I ask, “In your opinion, what are the two greatest challenges we face in sourcing today?” I want to understand if they are a sourcer who works a 9 to 5 or if they are someone who thinks about the challenges they are up against and tries to figure out ways to be more effective. I’m generally unconcerned about their response; I’m more interested in their reason. My final question for a sourcer is related to the previous question. What would you do to address these challenges? The final thing I’m looking for is problem-solving skills. Critical thinking is great, but if all they do is find challenges and they never think about solving challenges, then I’m going to be spending a lot of my time with that sourcer solving their challenges. I do ask other questions depending on the conversation, but I make sure I always cover these questions specifically because I believe they help me understand an entire picture of the person I’m going to be adding to my team. So that is it, those are the general questions I ask and why. I believe that no matter what questions you ultimately ask you need to try to get a few basic questions answered. Can they do the job, do they want to do the job and will they be difficult to manage? Good luck, and as always, happy hunting.